The Social Travel – Meet your facebook friends in real life! Interacting with your friends on facebook has gone to a whole new level. Meet The Social Travel, a new interface allowing you to locate your friends around the world and travel to them in the easiest and cheapest way. Being able to follow up on your friends’ adventures, to like and comment on their check-ins and travel photos is pretty cool. But what if you could meet those facebook friends in real wherever they are and live those adventures with them? By simply signing up to “The Social Travel” by email or via facebook, you can now find out your friends’ locations through a world map generated by the platform and what are the best means of transportation, date and price to meet them wherever they might be! It was on an inspiring trip to incredible India in 2014 that Maurizio Parrino, Andrea Scalogna and Riccardo Parrino knew they had a mission to accomplish that would facilitate the life of every traveler. Despite the many existing travel applications, none really goes the extra mile to offer social media users extensive search information that would present them with the best traveling solutions. This is where TST team steps in and fills the gap, enabling an easy, fast and low-cost “social” traveling experience that allows people to meet their facebook friends or ever new travelers worldwide! 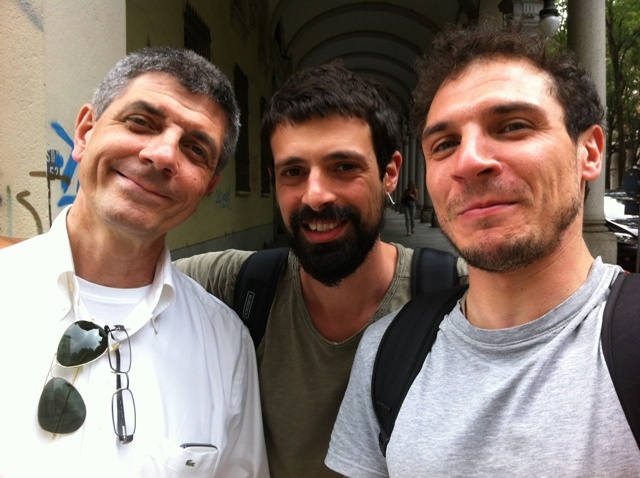 The founders – Maurizio, Andrea and Riccardo. With the increasing power of social media as well as the team’s partnership with Skycanner and Bla Bla Car, in addition to a new plan of partnership with train companies, The Social Travel aims at covering the entire world to offer its subscribers a full-fledged service when it comes to travel solutions. With endless ideas and plans in mind and an invincible passion at heart, TST team aspires to revolutionize traveling in the world of today and tomorrow. Wishing you all the luck, Andrea, Maurizio, and Riccardo! To know more about The Social Travel and sign up, click here. You can also check their facebook page.